Pres. Duterte Shows Respect, Kisses Hand of Mayor Who Publicly Campaigned Against Him and Allegedly Tried Preventing His Campaign Sortie! Aside from publicly supporting former Interior Secretary Mar Roxas and campaigning against then-Davao City Mayor Rodrigo Duterte, Mayor Beng Climaco of Zamboanga City in southern Philippines also allegedly tried sabotaging Duterte’s campaign sortie in her city by not giving him a permit and electricity. Now that he is the president of the Republic of the Philippines, Pres. 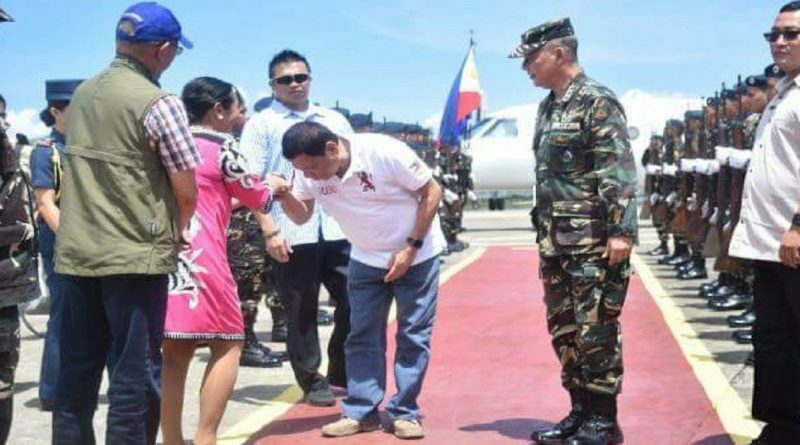 Duterte could have ignored the mayor during his arrival rites in the city yet he did something that was totally unexpected: he bowed down so he could kiss her hand!